Opera Society President Barbara Parent & her husband, Roland, met up with Opera Society members Isobel and Roger Sturgeon and new member Diana Fletcher in Newport, RI at the New York Yacht Club’s Newport Station for cocktails. 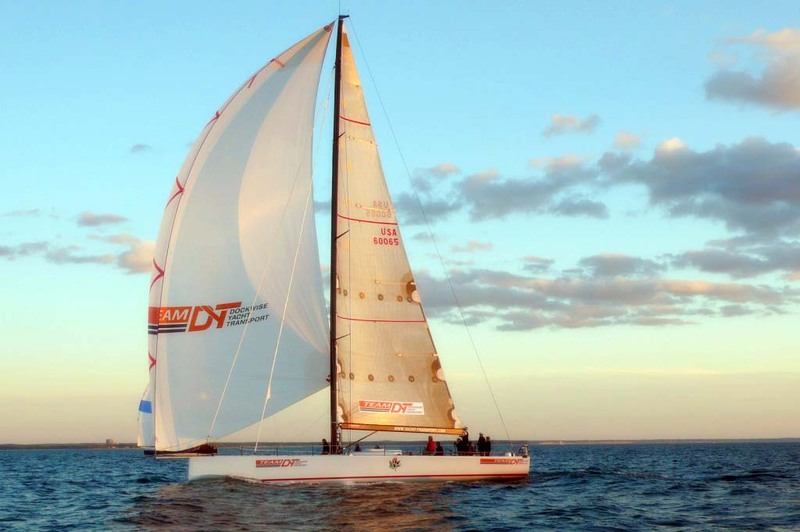 Isobel and Roger’s sailboat, Rosebud, was competing in the weekend’s regattas in preparation for next week’s biannual Newport to Bermuda Race (click picture to see high-resolution version). In December 2007, Roger became the 3rd American in 30 years to win the famed Rolex Sydney to Hobart Race (Jim Kilroy in 1977, Ted Turner in 1972). Rosebud made yachting history by winning all three summer regattas in Sydney: The Big Boat Challenge, The Rolex Rating Series and the Sydney to Hobart overall Tattersall’s Cup. Roger’s previous boat (also Rosebud) in 2004 won the The New York Yacht Club Rolex Newport to Bermuda race. Good luck to Rosebud and crew as they try to win it again! !